Good day, collectors of all things invokable. Some of you may have noticed The Fear Monger wasn’t creeping around the website last weekend, and maybe you feared the worst and thought that it was dead and quartered, laid out to fertilize the land where a garden of eternally rotten vegetables would grow. Maybe some of you even hoped that had happened. It’s good to be back. But before we get carried away, let’s talk about some of the week’s smaller headlines: Paramount has pushed Paranormal Activity 5 back to an unspecific date in 2016. (Sweet!) David Lynch’s nightmarish debut feature Eraserhead is being added to the Criterion Collection, and the special edition Blu-ray (with restored versions for six of Lynch’s short films) will be released on September 16th. Music legend Iggy Pop has signed on to star in Dario Argento’s next feature, The Sandman, though no details are known. And finally, some astute Imgur user recently posted a map of the U.S., with a horror movie to represent each state. Feel free to rant and rave over the choices and how correct they are, since we didn’t make this image. And now, I think I hear a familiar tune being played. Chh-chh-chh-chh. Ahh-ahh-ahh-ahh. Jason Voorhees is going to get all up in your face for the next Friday the 13th installment, as Paramount recently revealed at CineEurope that the sequel (or whatever it is) will get the 3D treatment. I’m both extremely excited about it, as 3D horrors are almost always enjoyably embarrassing projects. Come to think of it, I'm equally uneasy about it for the same reason. Let’s not forget those found footage rumors, which would make this one scratch-and-sniff card away from being the most gimmicky movie ever. Friday the 13th, which reportedly has The Signalco-director David Bruckner at the head, would be the second 3D movie in the franchise, as the vapid and goofy Friday the 13th Part III made viewers don the multi-colored eyewear back in 1982. This second trip to the third dimension wouldn’t have to work very hard to be better than that one, and they’ll hopefully film the entire thing in 3D, rather than just post-converting it after filming is complete. Whichever way it goes, I’m going to be in the theater with everybody else on November 13, 2015, hooting and dodging digitally created blood splatter. Everybody is quick to talk about Netflix, Hulu and Amazon being the kings of original streaming projects, but we need to start putting more focus on Crackle, which has the advantage of being free for all users. The service will be the first to stream Legendary Digital Media’s feature-length take on the bestselling Capcom video game series Dead Rising. World War Z meets Dawn of the Dead? One can dream, so long as one is holed up securely in a zombie-free environment. 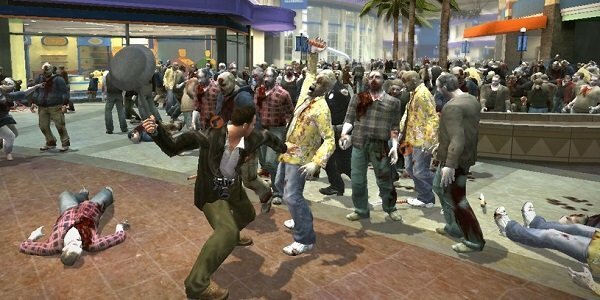 Dead Rising, which hasn’t yet found its director, will be produced by the action-centric Lorenzo di Bonaventura (Transformers) and scripted by Tim Carter, who wrote the recent crime game Sleeping Dogs. According to Variety, the story will follow four people trying to survive a zombie outbreak, not helped along by a government-ordered vaccine that fails to stop the spread of the infection. The government may or may not be involved, which means they’re totally involved. Following its initial run on Crackle, Dead Rising will then be released on VOD, DVD and TV outlets. Here’s hoping they stick to the darkly comedic feel of the first game, where anything becomes a weapon and no death is too disgusting. Such is the growing world of entertainment mediums that we’re following a web premiere story with one about a mobile phone app being greenlit for a sequel. Utilizing a random episodic release schedule, Haunting Melissa debuted in 2013, telling the surprisingly creepy and mysterious story of Melissa (Kassia Warshawski), a girl who has been plagued by paranormal occurrences since the disappearance of her mother. The project was conceived and directed by Neal Edelstein, producer of Mulholland Drive and The Ring, and produced by Hooked Digital Media. Beyond the already unique approach to horror storytelling, Haunting Melissa also incorporated Dynamic Story Elements, which changed certain aspects of the story when viewers went back and rewatched segments. Bestselling author Andrew Klavan will be back to pen the screenplay for this sequel, which is set to hit the iOS8 App Store later this year. According to the release, Haunting Melissa 2 will start off "one month after Melissa’s disappearance with her return home." And I’m betting that return won’t be a very peaceful one. Most of the cast will be returning, joined by Jenna Berman (iZombie), Megan Tracz (Fallout Asylum) and Rohan Campbell (The Right Kind of Wrong). If you haven’t had the offsetting pleasure of experiencing Haunting Melissa yet, it’s only a download and a dark bedroom away from being yours. Freddy Krueger is and always will be my favorite monster in cinema. After all, his glove is one of fiction’s greatest weapons, his story is deep and tangential, and he mixes a wicked sense of humor with a vicious sense of horror justice. And he will appear in his original form for the last time on Friday, August 8th, as Robert Englund will appear at the Chicago Horror Convention’s Flashback Weekend in fully Freddy makeup, applied by effects superstar Robert Kurtzman (Wes Craven’s New Nightmare). 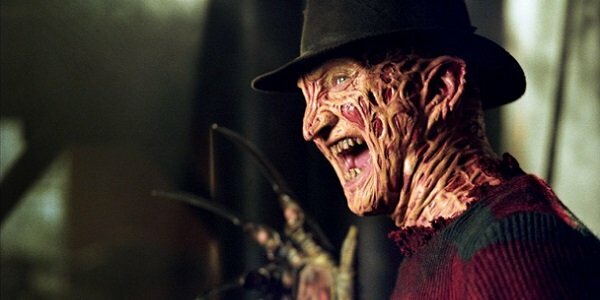 To celebrate the 30th anniversary of the original Nightmare on Elm Street, this will be the first time Englund will appear in full costume since 2003’s Freddy vs. Jason. The price tag for said event is pretty steep – $365 will get you a weekend pass as well as the photo-op with Freddy and a collectible lanyard. But if money isn’t an issue , then there’s no contest as far as how amazing this experience will be for fans. Also on hand for Flashback Weekend are the Soska sisters (American Mary) and a Phantasm 30th anniversary panel. Here’s hoping New Line will be on hand at this event to see Englund back as the most depraved burn victim in history, and that maybe a lightbulb will appear over their heads and they’ll sign him up for another Elm Street movie that people actually like. How sweet would some fresh meat be? Gearing up for its looming July 2nd release, Scott Derrickson’s brutal exorcism flick Deliver Us From Evil is positively gushing with bloody new clips and imagery, some of which we have for you here. Derrickson’s previous films didn’t exactly shy away from gross-out effects, but these images are pretty extreme. And I love it. These guys look like they’ve been through a lot more than just some terrible injuries. 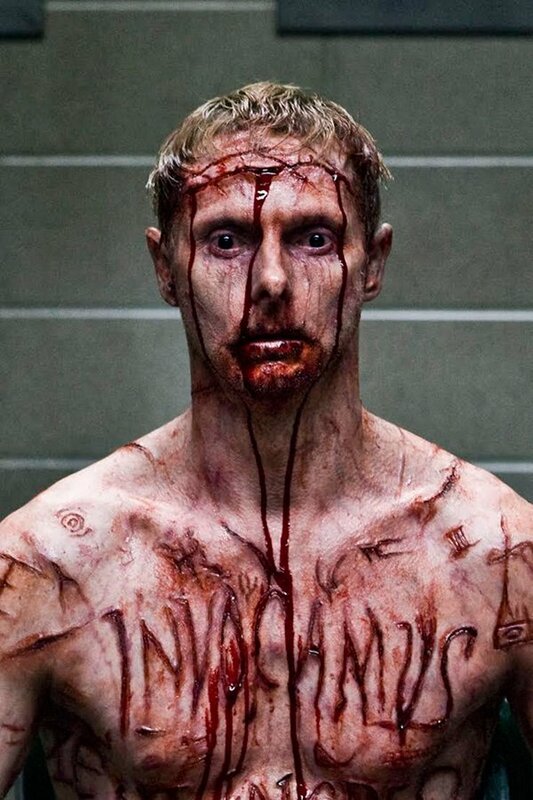 The wounds look infected with…EVIL! Based on NYPD detective Ralph Sarchie’s true crime novel, Deliver Us From Evil follows Eric Bana as the hardened Sarchie, whose personal life takes a backseat to a new case involving exceedingly violent crimes. Sarchie teams up with a priest (Edgar Ramirez) to help him figure out what kind of a demonic threat is taking over New York City, and how they can stop it. But it’s not all open sores and sadistic rituals, as the following clip proves Derrickson is just as keen on using quiet, atmospheric scares as well.